Many engine and body swapped Fiero's have graced the pages of DT. What is it about the Fiero that gives off the Rodney Dangerfield no respect persona? For starters, the highest level 2.8 60 HO V6 was fine in the 1980's, but hardly cuts the mustard by 2018 standards. The final year 1988 cars are most desirable cars as the final year brought a much improved suspension design and cleaner aesthetics. Today's feature is without a Italian body conversion, is in pristine condition, has a 300hp Cadillac Northstar engine, and is up for sale at less than half of the build cost. 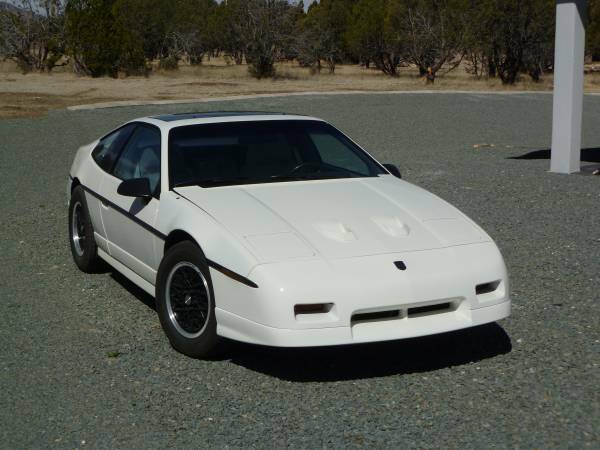 Find this 1988 Pontiac Fiero GT for sale in place, NM for $10,000 via craigslist. Tip from Fuel Truck. 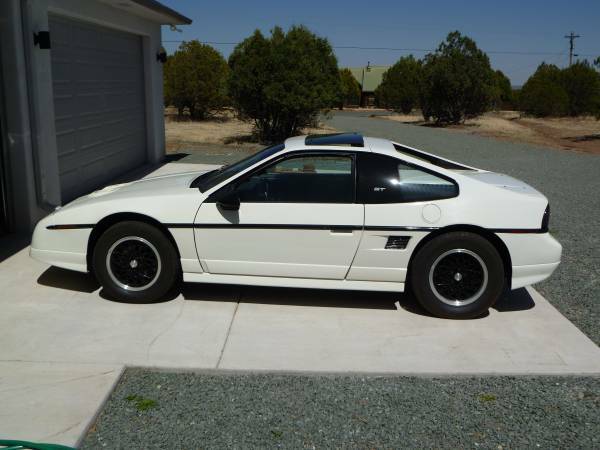 This is probably the nicest northstar fiero there is. A 1988 gt with 55k miles that is rust free(texas/nm car) and so clean there is not even a scratch on it. Literally looks new and has always been garaged. 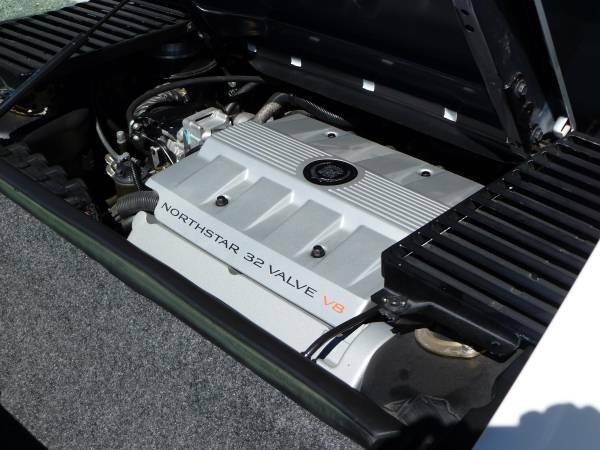 The powertrain is 300 hp unit from a 97 Cadillac and only has 3000 miles on it. Runs great and if you are a collector this could be the most unique car in your collection. If you have interest, give me a call and we can discuss details at length and I can send more pics of any area you want more detail of. I am selling because I just can't work on cars like I used to and want to find a new owner that will take care of this special car the way that I did. The price is $10000 which is about half what it cost me to build. There is little to nitpick on the car. The faux hood vents on the front trunk are a relatively minor offense. Northstar engines had head gasket issues that seem to be solved using this type of head stud kit. The automatic transmission could scare off some people. I am not sure there is a off the shelf manual transmission that mates up to a Northstar?? Has this had the head stud kit installed? I know nothing about these kinds of swaps, but I really dig this. Ad doesn't say, but does anyone know if there is typically enough room for the a/c to stay with these kinds of swaps?